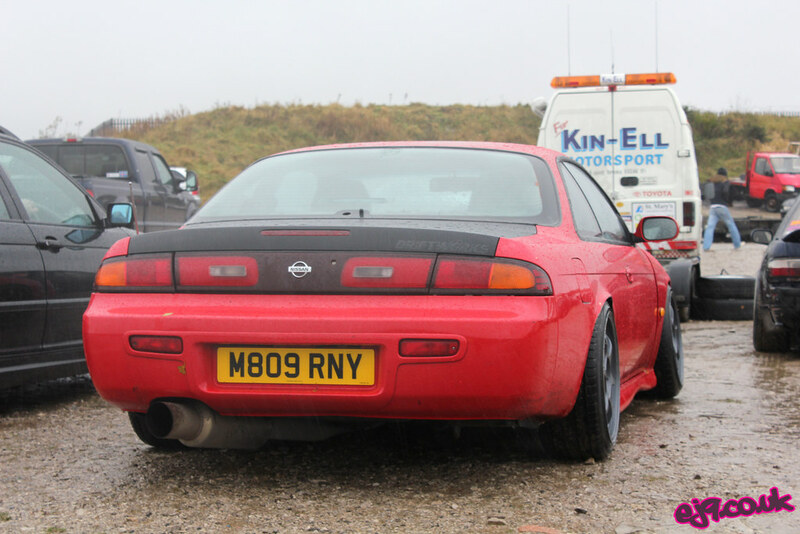 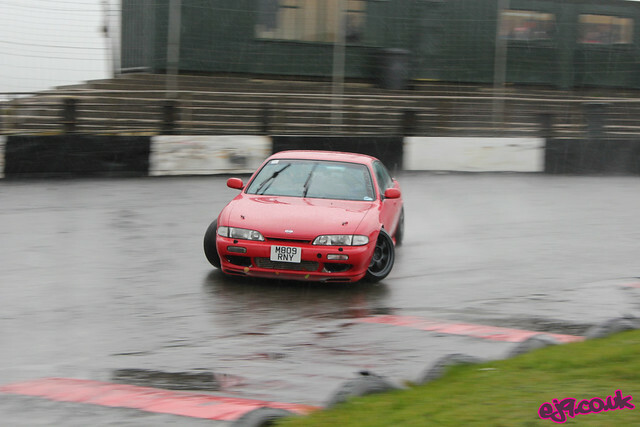 In my last post from Buxton Raceway I mentioned this stunning S14 that turned up later in the afternoon and ended up doing some skids on what was an almost completely flooded track. Back then I promised to post some more pictures of it, so here they are. 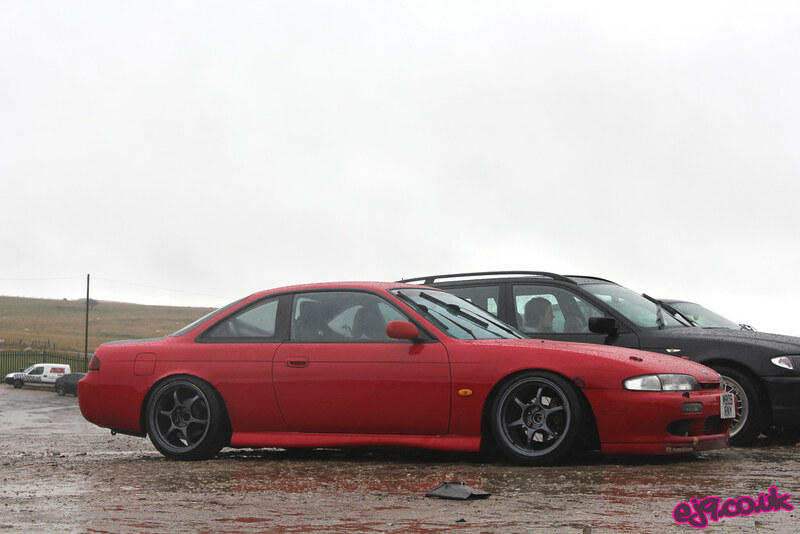 There’s no denying that the Advan RGs complete the look perfectly, which is interesting considering that they aren’t a very popular choice of wheel for S14s. 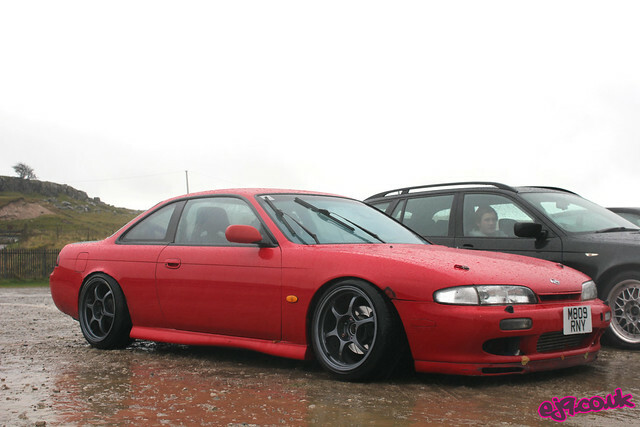 Most S14 owners would usually go down the traditional route of deep dish low offset wheels, but there’s no doubting these flat-faced, relatively high offset items don’t look the part against the completely standard bodywork. 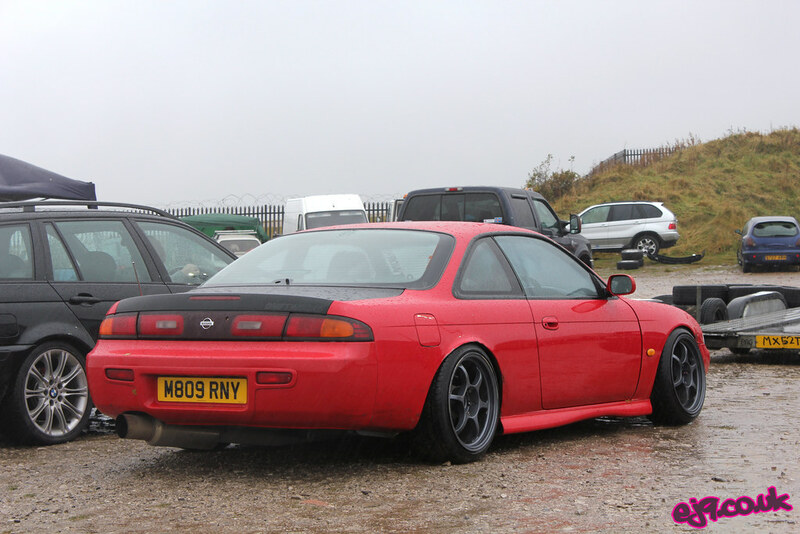 I don’t know too much about the suspension setup that it’s running but what I can tell you is that it’s running Driftworks Geomaster hubs all round – great for traction and lock. Despite the track resembling a small lake for most of the afternoon I still made sure I went out there and got a few shots. 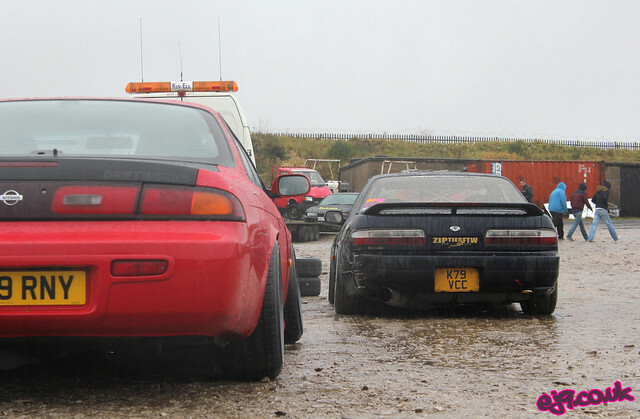 Nothing like a slammed S-body doing some skids!